In 2016, Twitter is still one of the biggest social media platforms in the market and for good reason. It’s one of the few platforms that allow you to communicate with anyone, no matter if you’ve “connected” with them or not. It’s basically one big chat room with different channels. Now, one big chatroom is cool because you can directly engage with fans, potential fans, and music industry professionals. However, It can become frustrating for an upcoming hip-hop artist due to how saturated it is with other hip-hop artists. Just like most platforms that become saturated, Twitter has suffered a good amount of platform abuse from rappers trying to shortcut hard work and you know exactly what I’m talking about. This includes rappers spamming their music in people’s mentions and DMs, following mass amounts of people in an attempt to build a big followers list and more. So, instead of showing you how to further abuse Twitter’s system, I’m going to give you 10 legit tips for using Twitter better as a hip-hop artist. This may seem obvious and basic (and it is), but it’s not uncommon for artists to forget about this. Your profile photo on Twitter is one of the first impressions you’ll make on someone. Make sure it’s a reflection of your brand and looks nice. Good packaging can make a product look much nicer. I’m a big fan of building credibility in your Twitter bio section. But, depending on your brand, you may choose to go simple and mysterious, and say as little as “It’s more than just a hobby”. Or, you can reveal more about yourself. Regardless, make sure it aligns with your brand and profile photo. A profile photo of you with guns and a Twitter bio of “Violence is never the answer” won’t work well. Stay consistent. If you don’t know what I’m talking about, it’s basically when you following a ton of people with the expectations that a good percentage of them will follow you back. Then, you unfollow anyone that doesn’t follow you back and repeat the process. This strategy has been extremely saturated in the music industry and although it can expose you to more people, it will “water down” your brand. Do the hard work and let your following grow organically. Make sure you’re 100% aware of what you tweet, because once you tweet it, it’s there forever. Yeah, you can delete the tweet from your twitter profile, but you cannot delete the tweet from the internet. 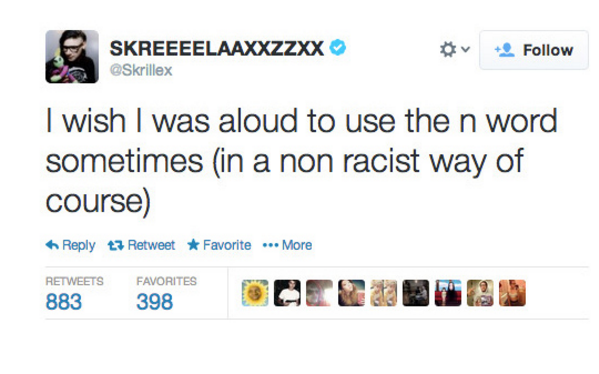 Plenty of rappers have found themselves in awkward or bad situations due to something they tweeted years ago. So be aware. 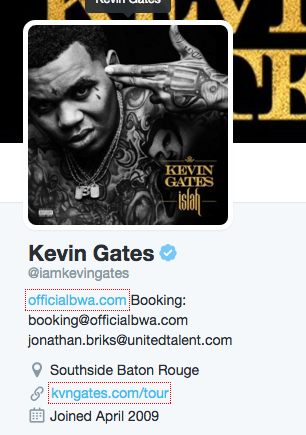 If you care anything about your music career, don’t spam. Spamming your music on social media is like standing in front of someone in person and constantly telling them to “check out my mixtape” until they respond to you. That would be rude as hell and probably make them not want to associate or check out your music. Doing this MIGHT help you get some short-term views and plays, but will kill your chances of building a meaningful relationship with people. Remember, views and plays do not make you successful, people make you successful (fans, your team, etc.). Don’t sacrifice your long-term career for a meaningless short-term gain. Feel free to tweet your music throughout the day. This will help make your music easily accessible by anyone who’s interested without being spammy. I’d recommend keeping it simple. Engage with fans and industry professionals at least 4 times before promoting anything. 80% of your tweets should be engaging with others while 20% of your tweets should be self-promotion. This is the main reason you should be on Twitter, to engage with others. 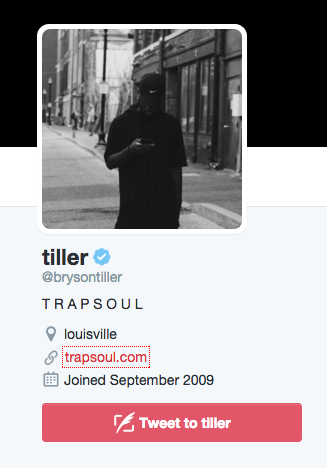 Don’t make the mistake of looking modeling your Twitter strategy based on the Twitter strategy of hip-hop celebrities. Your strategy will be much different and require you to engage with people more frequently. Another tip for engaging in conversations include engaging with people that are mentioning you. Search your name, the links to your music, and any other phrases that someone may use when talking about you. If you find people talking about your music, interact with them. Not only will they be surprised that you noticed what they said without mentioning you, they may be more likely to engage with you in the future. You should always tweet once a day (minimum). The more you tweet and engage with others, the more you’ll make connections and grow your Twitter. The longer you go without tweeting, the less active your twitter page looks, and the chances of someone following you begin to decline. To prevent your Twitter from looking like a ghost-town, schedule some of your tweets using Buffer or Hootsuite. This will guarantee that you have one new tweet per day. Everyone wants supporters and fans (including you and me). Don’t be afraid to support someone you like with a retweet, mention, or favorite. Supporting someone else will not reduce your chances of becoming a successful artist. If anything, it’ll help build a relationship and possibly open doors for you. The list feature in Twitter is very helpful for organizing people on Twitter. 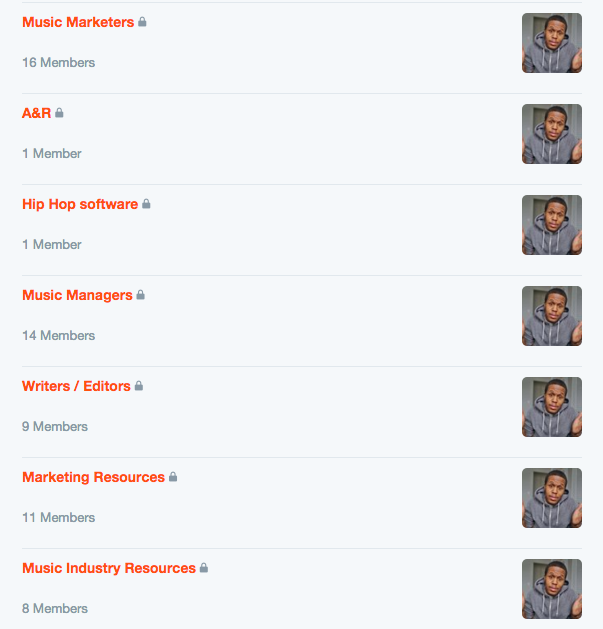 For example, I’ve created a ton of private list on Twitter to organize people with different roles in hip-hop. I’ve attached some screenshots for you to look at below. These are 10 tips that I had on my mind today and wanted to push out an article on them. If you have any questions or additional tips for utilizing Twitter as a hip-hop artist, leave a comment below! Make sure you’re 100% aware of what you tweet, because once you tweet it, it’s there forever. If you care anything about your music career, don’t spam. Great way to break through obscurity – use of twitter. Glad someone wrote this.